This lounge top features activewear styling. 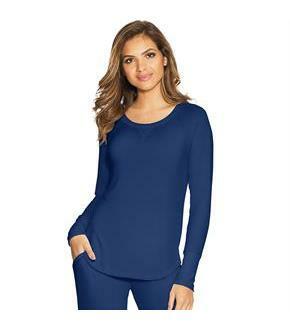 Ribbed scoop neckline with V-notch. Extra long ribbed cuffs. Raglan long sleeves. Curved bottom hem. Lightweight fabric with a hint of stretch makes sleeping easy. Create a set with matching lounge pants.